In an effort to eat better and try new things I have been cooking more. 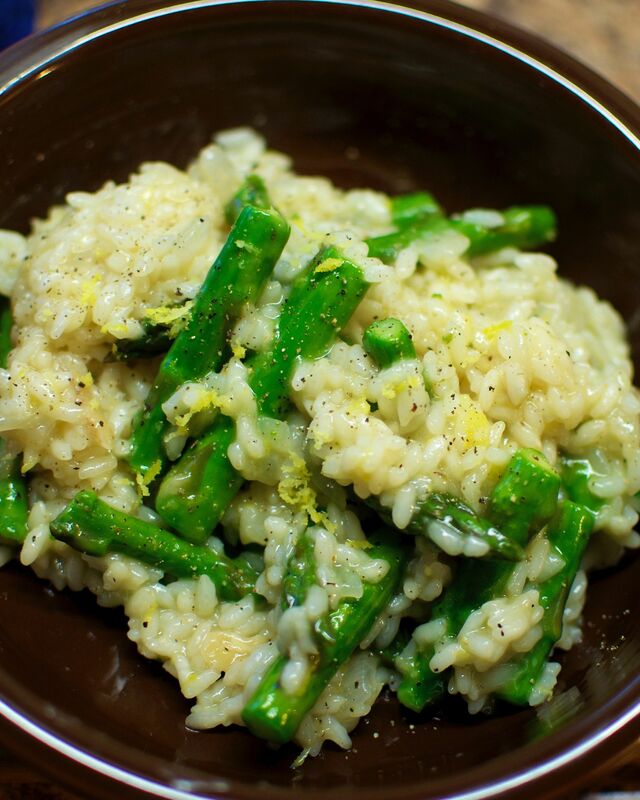 Tonight’s dinner was a fantastic risotto with asparagus and walnuts. It was my first time cooking a risotto and it turned out pretty damn good.